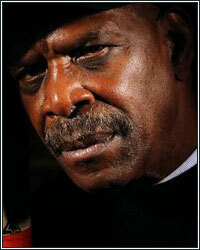 RON LYLE: "JOE FRAZIER WAS A DOWN TO EARTH PERSON. HE WAS THE REAL DEAL"
"Joe was a good fighter, man. He was a cornerstone, you know what I mean? He freshened up that heavyweight division. He brought a lot of action to the table. He was a small fighter, but he had a big heart. He had a big heart. The third fight he had with Ali was the fight for me when it comes to Joe Frazier. All three of those fights were good, but I think the third fight was the fight, you know what I mean," stated former heavyweight title challenger Ron Lyle, who shared his memories of the late, great Joe Frazier, who lost his battle with liver cancer and passed away late Monday evening. "They had both won one and everything was on the line. I think the third fight was the fight. And there you go again, the fight was so good that if they don't call it, it ain't no telling which way it would have went. That's just how close it was," Lyle recalled, reflecting on the highlight of Frazier's career, his trilogy with Muhammad Ali. "I talked to Joe all of the time. I talked to Joe when he came to Denver. I used to talk to Joe a long time ago all of the time in Vegas when I was living there; mostly when I was living in Vegas. But when he came here [Colorado] I talked to him a lot too. Joe Frazier was a down to earth person. He was the real deal, man. Joe was real," Lyle added.